On the motion of the National Defence Committee as the leading committee, the first reading of the Bill on Amendments to the Defence Forces Service Act (312 SE), initiated by the Government, was concluded. The purpose of the Bill is to create additional guarantees with the Defence Forces Service Act for persons who become ill or are injured due to the performance of their duties in the Defence Forces. 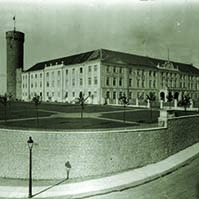 The Bill provides additional possibilities for receiving health and social services and the paying of a benefit as a material guarantee for members of the Defence Forces who become ill or are injured due to the performance of their duties in an international military operation, and whose income decreases in connection with termination of payment of remuneration for assignment abroad. 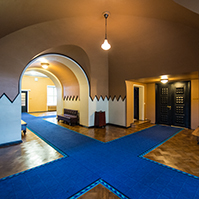 The Act also guarantees the right to use the dwelling provided by employer in cases when a member of the Defence Forces is released from service for health reasons or dies, facilitates continuation of studies at an institution of civil education by compensating study loan, and ensures the possibility that the travel and accommodation costs of a person close to a member of the Defence Forces are compensated by the state in the case when the member of the Defence Forces is staying in a medical institution of a foreign state. The Bill was sent to the second reading. On the motion of the Cultural Affairs Committee as the leading committee, the first reading of the Bill on Amendments to the Heritage Conservation Act (31 SE), initiated by the Government, was concluded. The Bill extends the group of persons who prepare the special conditions for heritage conservation with the aim of providing more help for owners and possessors of monuments. Also, a clear legal basis is provided for changing the extent of the protected zone with a view to establishing the actually necessary protected zones for monuments, and the possibility of changing the data concerning monuments is provided. The Bill was sent to the second reading. On the motion of the Cultural Affairs Committee as the leading committee, the first reading of the Bill on Approval of Constitution of United Nations Educational, Scientific and Cultural Organization (336 SE), initiated by the Government, was concluded. The purpose of the United Nations Educational, Scientific and Cultural Organization is to advance, through the educational and scientific and cultural relations of the peoples of the world, the objectives of international peace and of the common welfare of mankind. The Bill was sent to the second reading. 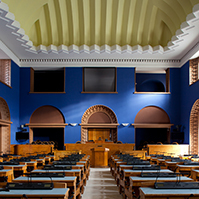 On the motion of the Constitutional Committee as the leading committee, the first reading of the Temporary Administration of Payment of Salaries related to Average Salary in Estonia Bill (296 SE), initiated by the Estonian Centre Party Faction, the Estonian Green Party Faction, the Pro Patria and Res Publica Union Faction, the Estonian People’s Union Faction and the Social Democratic Party Faction, was concluded. The Bill was prepared in view of the need to economise on the budget funds of the state in a situation of retarded economic growth. 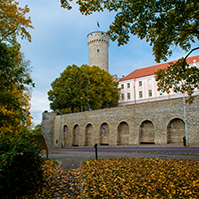 The Bill provides the upper fluctuation limit of the salaries which increase or decrease automatically, depending on the changing of the average wages in Estonia, from 1 January 2009 until 28 February 2010, and the maximum permitted amount of the salary in the specified period. According to the Bill, the average wages in the fourth quarter of 2007 in Estonia will remain the ceiling in the calculation of the salary. If the average wages fall, the amount of the salary will decrease respectively. The Bill was sent to the second reading. 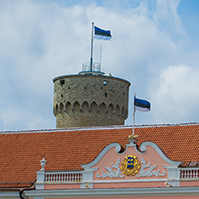 Due to the end of the working hours of the sitting of the plenary assembly, the first reading of the Temporary Administration of Salary of Member of Riigikogu Bill (342 SE), initiated by the Constitutional Committee, was adjourned. 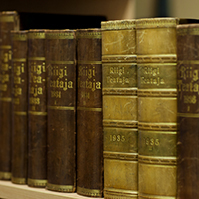 The objective of the Bill is to provide the upper fluctuation limit of the salaries of Members of the Riigikogu from 1 January 2009 until 28 February 2010. According to the Bill, the average wages in the fourth quarter of 2007 in Estonia will remain the ceiling in the calculation of the salary. It provides the maximum permitted amount of the salary in the specified period. The deliberation will be resumed tomorrow, at the sitting beginning at 2 p.m.